Beazley posts a sign outside the classroom door on days that mentors are present. Anyone who’s watched Shark Tank, the popular television show where would-be entrepreneurs pitch their business ideas to a panel of cutthroat experts, knows that moment when the preparation ends and the presenting — the unabashed salesmanship — begins. 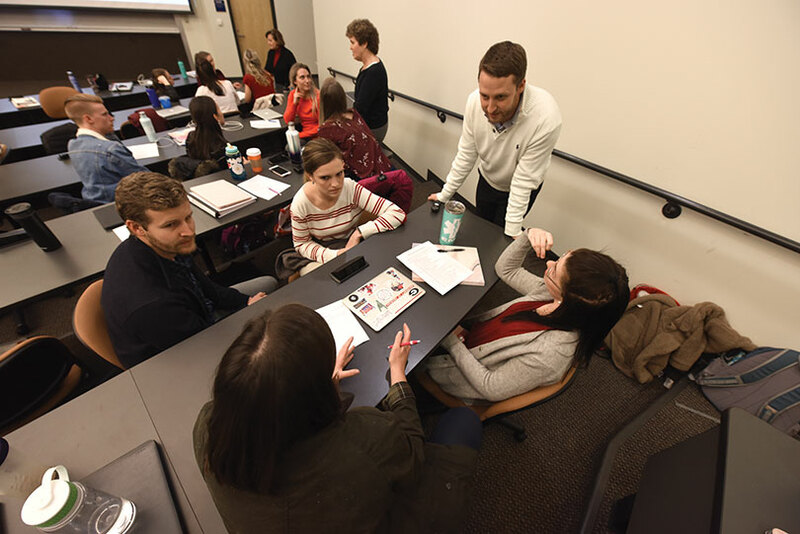 For Trey Wimmer, a graduate of the physical therapy department’s Shark Tank-styled management course, a course which culminates with teams of students pitching business plans to those already successfully in the business, the enormity of that moment caught him by surprise. Turns out he knew a lot. So much, in fact, that his pitch — the physical therapy practice he and his group built on paper — was picked up by a leading physical rehabilitation provider and built in real life. And a little bit later, Wimmer was hired to work there. Dr. Debra Beazley, an assistant professor in the College of Allied Health Sciences and the creator of the Shark Tank class, talks a lot about success when she’s in front of the class. Not just what it takes to create a successful business plan, the class’ stated objective, but what it takes to be a successful entrepreneur, something the pursuit of that objective enables. In Wimmer’s case, the answer was yes. The practice he and his team created now exists as a BenchMark Physical Therapy location almost exactly as they drew it up: a community-driven clinic located in Grovetown that sees a general outpatient population comprising everything from post-op surgeries to sports injuries to back disorders to joint pain. Pretty much the only thing different, Wimmer says, is the size of the facility: Grovetown is growing so quickly that between the time they designed the plan and the time BenchMark was ready to launch it, a better, slightly larger location popped up. That key point illustrates just how detailed these projects are: The business plan they developed wasn’t just an exercise to demonstrate an understanding of concepts; it was a literal business plan built from specific data for a particular location. “The more real we have it, the higher the believability is,” Beazley says. More than anything, that believability, which is imparted in stages so as not to be too overwhelming, injects a dose of reality to the students, who while accomplished, are sometimes naïve to the realities of everyday life, much less the business world. A good example is the vision boards Beazley has the groups create at the beginning of the semester. Like most vision boards, they’re idealistic, doing a great job of capturing the art of therapy and the types of care the teams want to provide, but they overlook the less glamorous and potentially uncomfortable aspects of the job. Do you have a dollar sign or anything that represents that you’re going to be financially successful? Beazley will ask. What about legal and operational compliance? Are those on there anywhere? The point — that there’s more to providing care than providing care — might seem like a jarring splash of cold water, especially given the enthusiasm and compassion exhibited by the students, but it’s a necessary one, because according to Beazley, respecting what it takes to make a business financially successful is just as important as the idea of respecting the challenging and beneficial work itself. That’s a tough equation for altruistic-minded students to learn, but it’s true, Beazley says: You can’t take care of people if you yourself are in chaos, and in order for you not to be in chaos, you have to be financially secure, both personally and professionally. 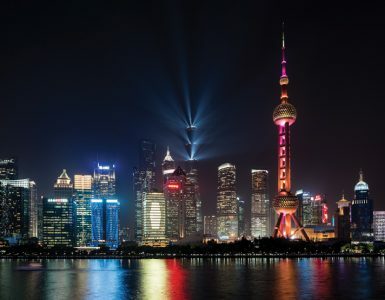 Therefore, each business plan isn’t just brought to the panel of sharks to be torn apart; the plans are first brought before a banker, who evaluates each group’s financial information. And the evaluation is no dog and pony show — they negotiate startup costs and capitalization so that by the time they get to the Shark Tank, their numbers have been vetted. 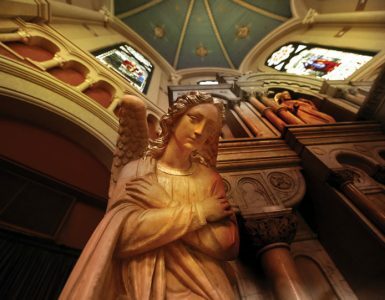 Though it was structured much differently when Beazley took over the class in 2014, it still enjoyed success: under Beazley’s guidance, the class created a business plan for Christ Community Health, which used the plan to get funding to build a clinic, and it contributed a business plan to the Women’s Pelvic Health Clinic at Doctors Hospital. From there, Beazley has been fine-tuning the Shark Tank concept, pairing mentors with teams to help create the plans that will be brought to the competition. And now, she thinks she’s got it where she wants it. And now that she has the corps of mentors she’s always wanted, she’s added a new wrinkle: The mentors themselves are being evaluated. Augusta University is the only school to offer its physical therapy students this kind of experience. 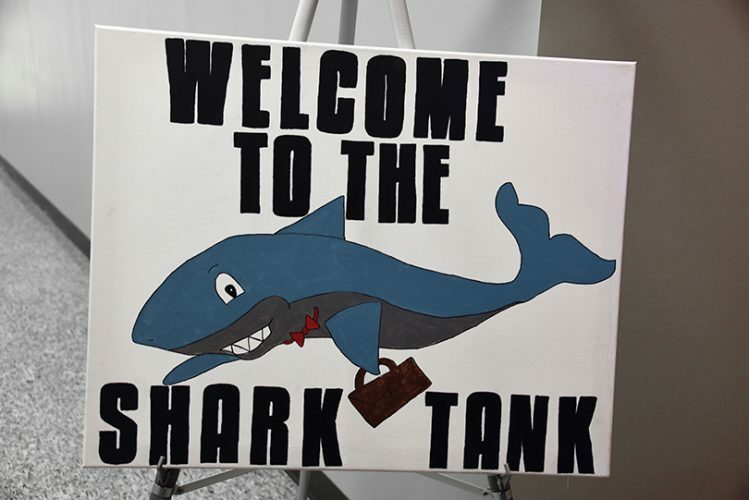 Every graduate of the PT program has to take the Shark Tank class in the spring semester of their second year, and the Shark Tank itself is always at the end of April. 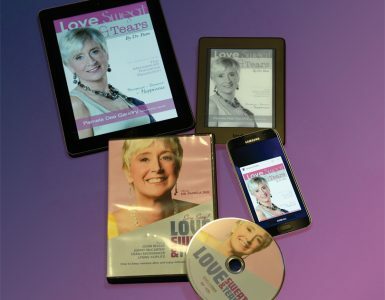 With an MBA, a doctorate in business and a career in the corporate world starting clinics, Beazley can walk the walk as well as talk the talk; therefore, she isn’t afraid to make these kinds of demands of the mentors, primarily because she knows how potentially valuable those student relationships can be to them. 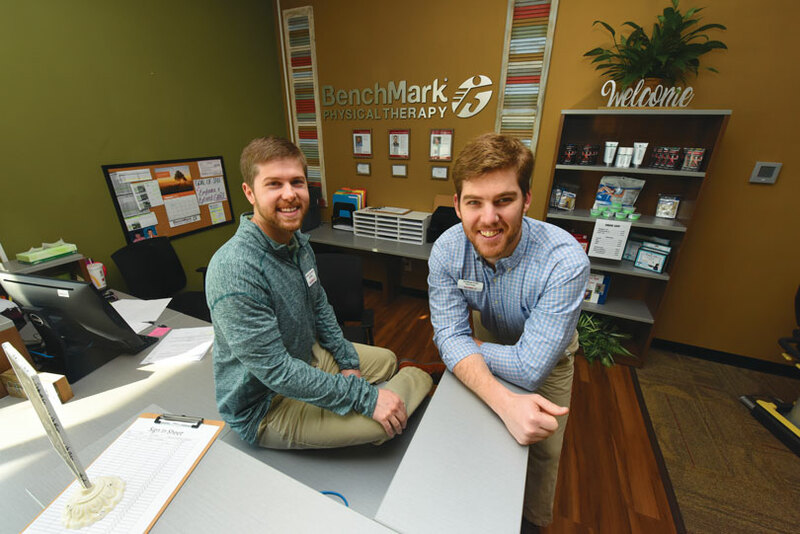 For Wimmer, the bond he formed with his mentor, Robert Cornett, regional director of BenchMark Physical Therapy, ended up being vital not just for the scope of his project, but for his future employment. “It’s just such a unique opportunity, because looking at other programs that have business classes, none of them are designing clinics and then having to defend them to people who have done it in real life,” he says. Debra Beazley, Malynda Carruth (DPT, ‘91) and Wesley Spake (DPT, ‘11) speak to small groups during a recent class. According to Wimmer, the term “Shark Tank” is very accurate. And because there’s not much time, the questions come fast and hard. Ultimately, each team’s time in the tank, including the feeding frenzy that occurs once the sharks smell blood, is really just the showy tip of a large and detailed iceberg, the culmination of months of work that proves Beazley’s coffee cup analogy was right — what they’re selling isn’t the 200-page binder filled with spreadsheets and numbers; it’s their belief in it. 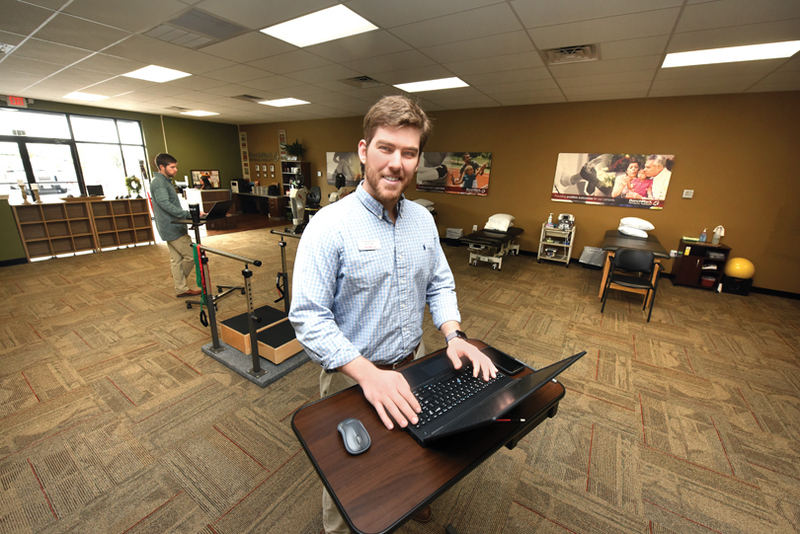 And now, Wimmer is working as a physical therapist at the business he basically designed, working directly with Grey Haddon (DPT ’13), who is the multi-site clinic director for BenchMark’s three Augusta-area locations, including the one in Grovetown. In other words, he is applying what he and his team prepared for. “The program at school gave me all the necessary things I needed to where, when I have these conversations with Grey, it’s not the first time I’m hearing business words,” he says. And according to Haddon, that background makes Wimmer not just a better employee, but a more pragmatic investment. Which is the kind of comment that makes Beazley smile.